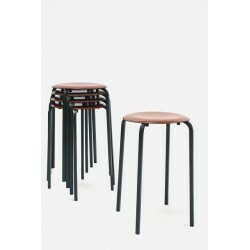 Set of 5 industrial stool. 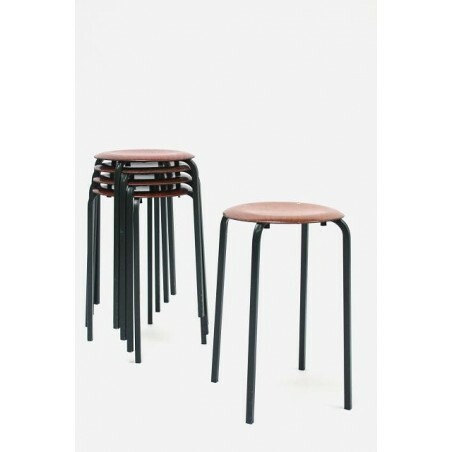 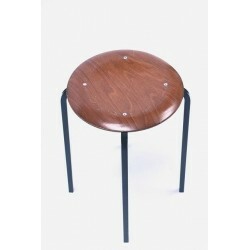 The stools, from the brand Eromes, have a metal frame and a pressed wooden seat. 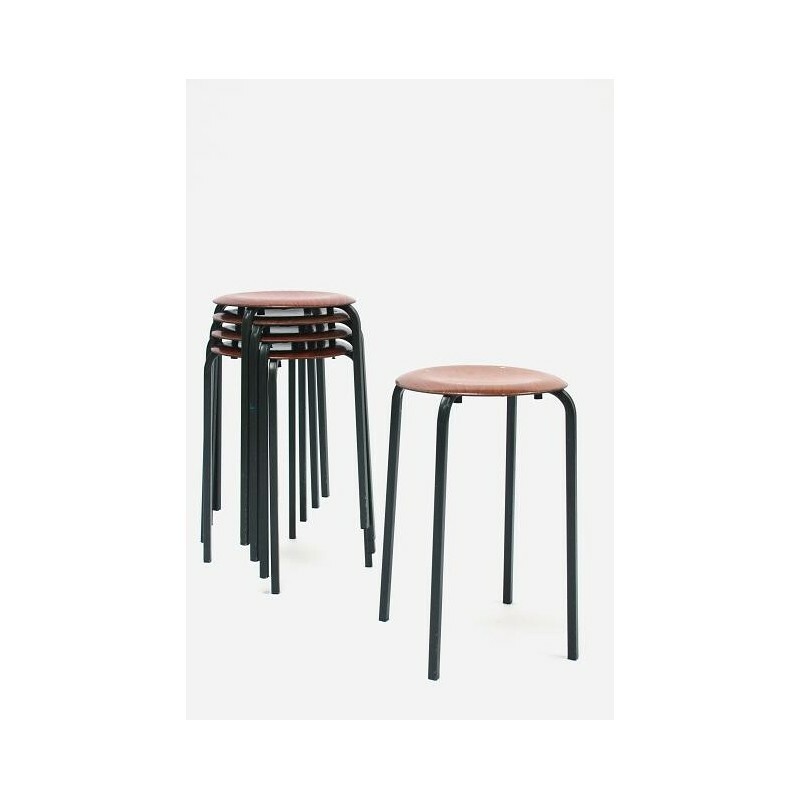 The stools are in a fairly good condition. 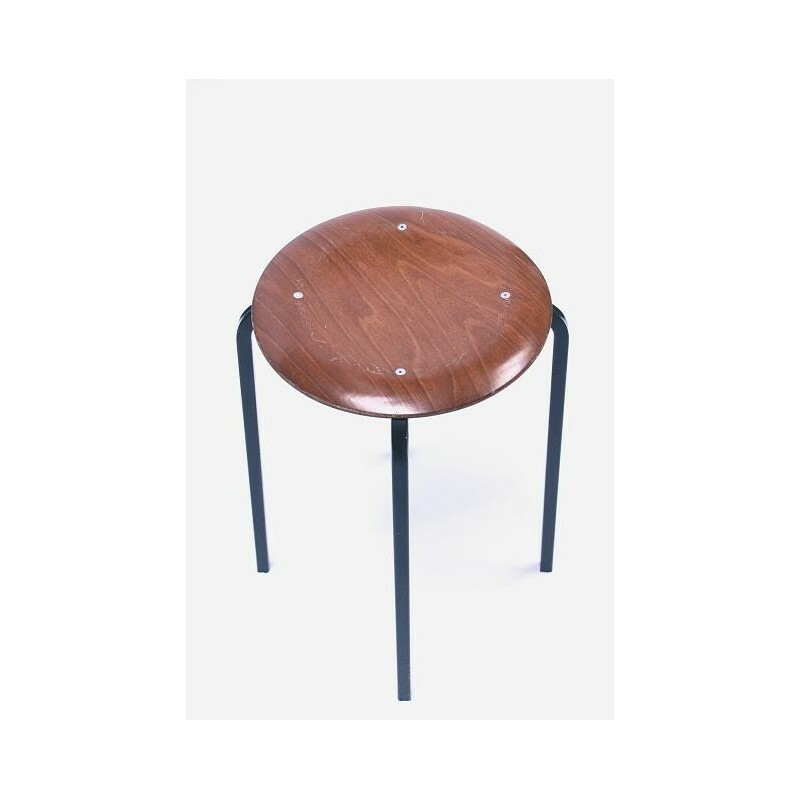 The size is 48 cm high and the diameter is 30 cm.